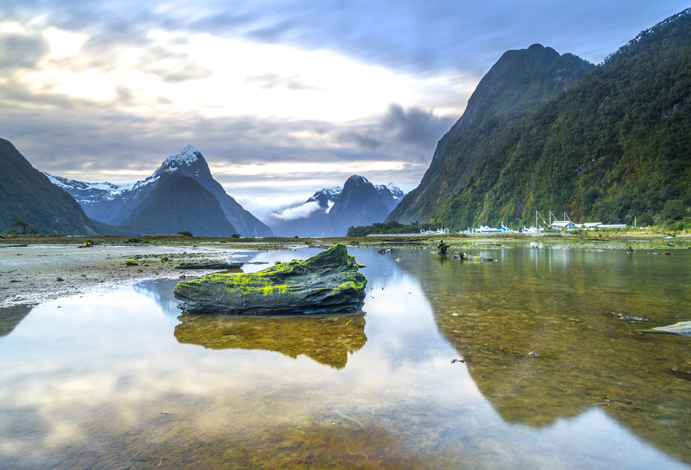 In January 2020, Ecruising is offering you the perfect opportunity to say ‘kia ora’ to the Land of the Long White Cloud on its stunning 18-night Grandeur of New Zealand journey. Departing January 16, 2020, this spectacular itinerary from one of Australia’s leading luxury travel experts combines a 16-night cruise on board the luxurious Silver Muse taking in some of Australia and New Zealand’s most stunning coastlines, followed by 2 nights uncovering the many charms and delights of cosmopolitan Auckland. Your journey begins in Sydney on January 16, 2020 where you will spend 2 nights exploring Australia’s largest metropolis at your leisure. Soak up the city’s colonial history while indulging your taste buds at some of its much-loved foodie hubs; dip your toe in the ocean at Manly Beach; or – if you are feeling adventurous, climb the iconic Sydney Harbor Bridge. Next stop is Melbourne, Australia’s most livable city, and a chance to visit its many galleries, laneways and alleys or treat yourself to some world-class retail therapy, before Silver Muse heads south across Bass Strait to Tasmania. Here you will visit Burnie on the state’s north west coast, home to award-winning wineries and providores, not to mention plenty of wildlife including Tasmanian Devils and quolls; and the genteel city of Hobart where you can take a stroll through Salamanca Place, or check out Australia’s largest private art collection at MONA on the banks of the Derwent River. 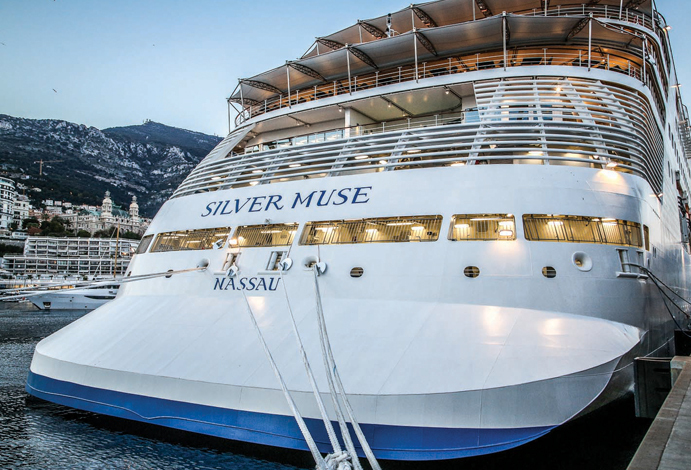 On January 23rd prepare to commence the next phase of your trip as Silver Muse sets course for New Zealand. Amongst many highlights on this side of the Tasman is a visit to the majestic Fiordland National Park on the South Island’s western coast, with its intriguing combination of rugged mountain ranges, solitary alpine lakes, sparkling rivers and splashing waterfalls, where you will cruise through the jaw-dropping dramatic Doubtful, Dusky and Milford Sounds. At Dunedin, on New Zealand’s southernmost Otago Peninsula, catch a glimpse of Royal Albatrosses and Yellow Eyed Penguins, explore the lavish and historic estates of Larnach Castle and Olveston House, or hike to the top of Mount Cargill, home to the amazing Organ Pipes basalt rock formation. Your next stopover in Christchurch is a chance to explore the rebuilding of this historic city following its devastating 2011 earthquakes or embrace your spirit of adventure in the Southern Alps with a 4x4 drive to Rubicon Station and a jet-boat-ride on the Waimakariri River. Disembarking in Auckland on February 1, 2020, spend the final two nights of your journey at Stamford Plaza Auckland, the perfect base from which to explore New Zealand’s largest city. Visit its many attractions including the iconic Auckland Sky Tower commanding 360-degree panoramic views over Waitemata Harbor and Rangitoto Island, the Auckland Museum with its extensive collection of Maori artefacts and the upscale shops and cafes along Parnell Road, before flying home to Australia on February 3, 2020. Ecruising’s 18-night Grandeur of New Zealand journey departs from Sydney on January 16, 2020 and is priced from $8,969* per person twin share including one-way economy airfares from Auckland to Sydney, all accommodation, tours and transfers and all main meals and selected fine wines, premium spirits, coffees and soft drinks on board the Silver Muse. For more information, please visit www.ecruising.travel.